Smart Sales is fully customizable enterprise order, Payment and sales return management solution integrated with Tally. 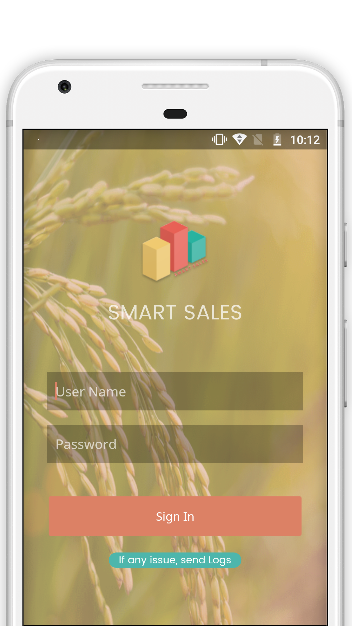 Smart Sales Team software helps sales teams and managers become more effective with technology. Salespeople should be spending most of their time doing that they do best in Selling. Any time wasted in other activities leads to a reduction in sales and effectiveness of the resource. SST application frees the sales team from all the unproductive paper and clerical works and gives more time for him to spend in the market, this translates to higher productivity and better individual performance. Smart Sales Team uses desktop & mobile/tablet based solution to capture a variety of field data regarding Sales or Services by field staff. The consolidated data generated over multiple locations can be access at a single place on a real time basis over Internet. With SST, an organization can automate sales business tasks, including order processing, contact management, information sharing, inventory monitoring, order tracking, customer management, sales forecast analysis and employee performance evaluation. Smart Sales Team allows the sales teams across the hierarchy, managers, and other departments easily share real-time and updated sales information, this ensures a platform for collaborative teamwork. Confident sales team: Ensuring anywhere, anytime access to data strengthens your sales teams performance to attend to market requirements.Providing full visibility to the customer, inventory and related information equips your road warriors to respond to customers' questions, concerns more confidently. Completely customizable workflow of orders, payments, and sales return.